TANITA Vietnam is glad to be invited to participate into the Mottainai Festival in Hanoi on 13 Oct 2018. In the booth, TANITA Vietnam is happy to help participants better understand their health by using segmental professional body composition analyser MC-980. 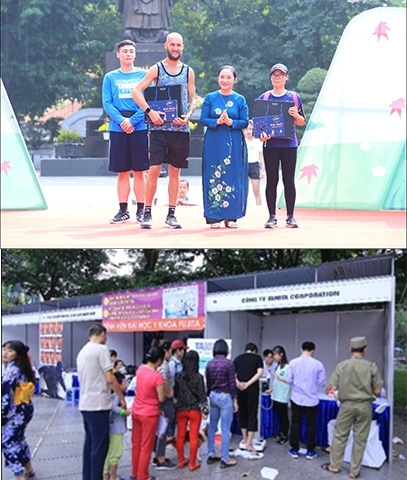 To support the running race in the Mottainai Festival, the running winners can also receive our professional body composition monitor RD-953 as prize to monitor their physical condition for the best sport performance.